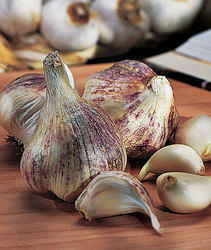 We are one of the most reliable companies in this domain and are into offering Natural Garlic Seed. Garlic has a powerful pungent or hot flavor when raw, which mellows when it is cooked. Garlic is used as a condiment and as flavoring in gravies, sauces, soups, stews, pickles, salads, salad dressing and breads. Garlic powder is made from ground dehydrated cloves and is used widely as a substitute for fresh garlic. Being the reliable source of accessing the Fresh Garlic, have been serving you the best quality Garlic in the domestic market. Our Garlic is hugely popular among clients for its rich taste and aroma. We make use of suitable packaging material to deliver the product safely and in the stipulated time span. To maintain high-quality standards, we make certain that the assortment of products is kept safe with utmost proficiency. We keep the products well stacked in order to avoid any damage. We are engrossed in the supply of small and improved Garlic Globe. We are remarkable enterprise, instrument in offering superior quality Garlic Seeds. 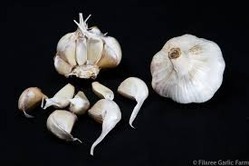 We are looked upon as a prime producer and exporter of a wide array of quality Garlic Seeds (Allium Sativum) that are fresh and highly aromatic. Our array of Garlic Seeds is widely demanded by the clients, owing to its freshness and delicious taste that it adds to the food. Moreover, the Garlic Seeds that we offer aid in improving digestion and maintaining healthy metabolism. Available with us, is garlic that acts as a flavoring agent in variety of dishes and is used as a preservative-flavourant in pickles. Its is used to prepare pickles and freshly ground chutneys that are popular side dishes for rice, snacks and chapathis.